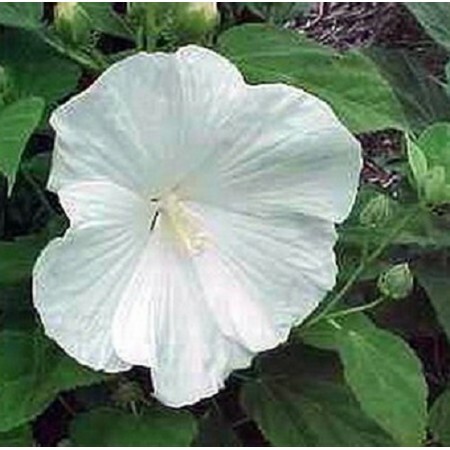 30+ seeds of the cultivar 'Blue River II', hardy to zone 4. 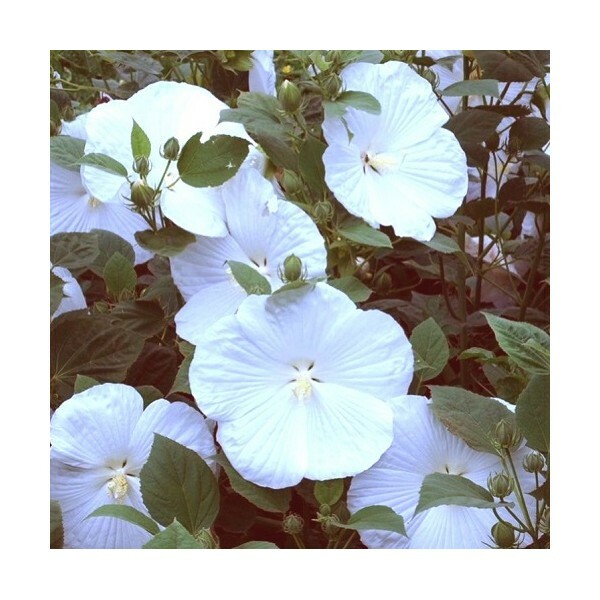 This is a hybrid type hibiscus, crossed with a wild oklahoma native rosemallow ( H. militaris). 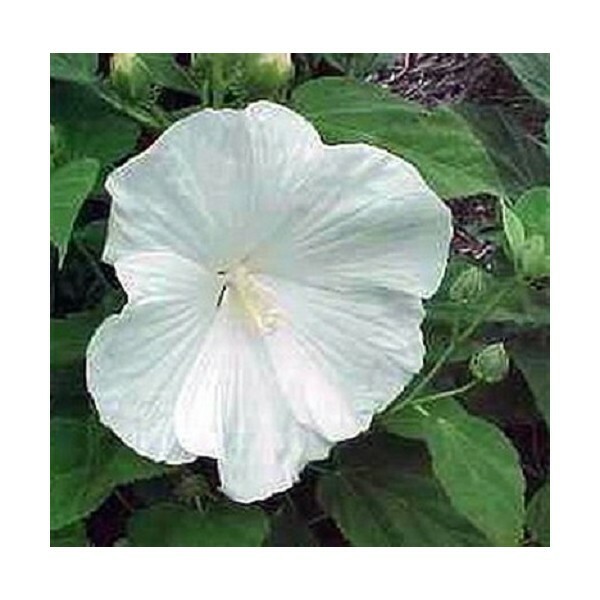 This easy perennial has very large, pure white flowers.